What I Wore Today: Bonjour! Today was pretty cold! yahoo! I am trying to enjoy the cold weather while it lasts cause I am pretty sure that this summer, and the majority of this year, will be spent in scorching Manila heat! covering my VERY undone face. I didn't have time to put on any make-up today plus I was super tired from walking around the mall all day trying find Dennis a perfect birthday present...notice the very tired eyes. Why does it have to be so difficult to find gifts for men??? 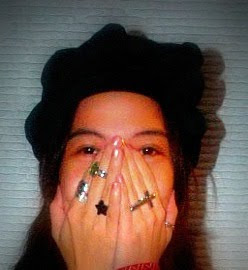 black beret from Irene's closet back when they were still in Rockwell and oxfords from Aldo. Oh, I miss summer. In Denmark it's 0 degrees (I'm from Denmark :b), sooooo i can't wait for summer! Thank you for your lovely comment, will totally follow you back! And I hear you about finding gifts for guys! They don't appreciate shoes quite the way us girls do, lol! 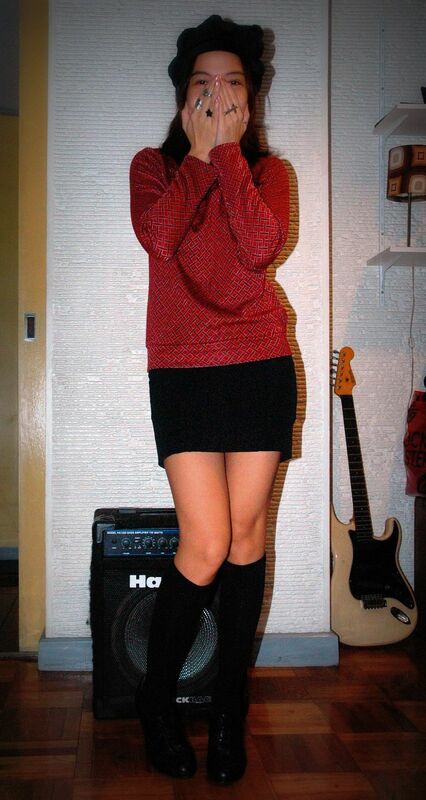 such a cute outfit!! love the socks. I'm loving your blog, now following!!! I hope that become my follower too! I like your blog, i'll follow you too!